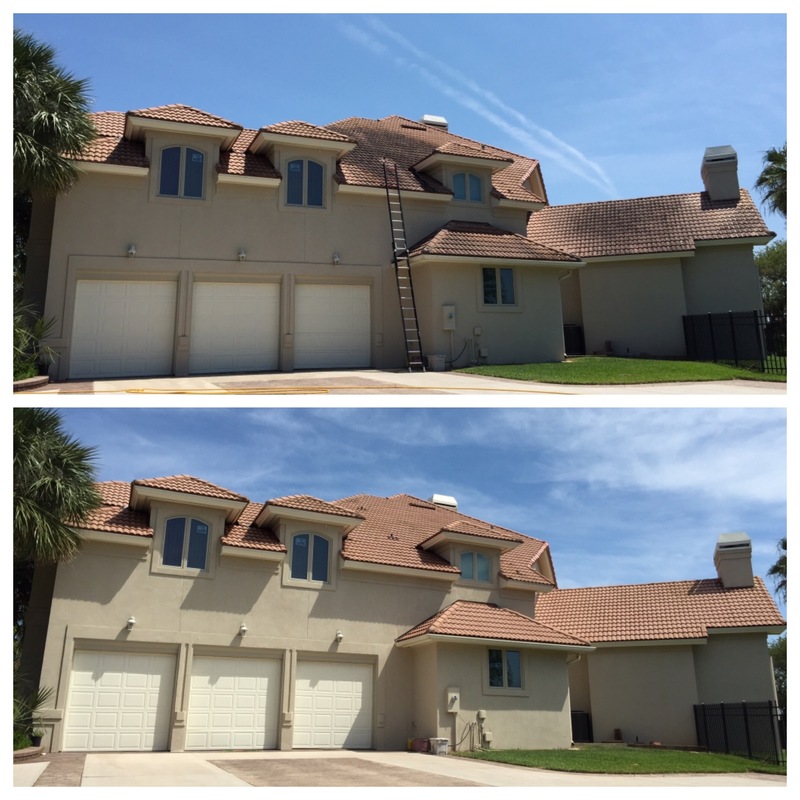 Roof Cleaning Jacksonville fl - The Pressure Kru, Inc.
We provide a low-pressure (a.k.a soft washing) chemical application service to remove your dark, streaky, discolored roof so that it will look new again. Newly installed roofs can start to show signs of mold growth within a year after installation. 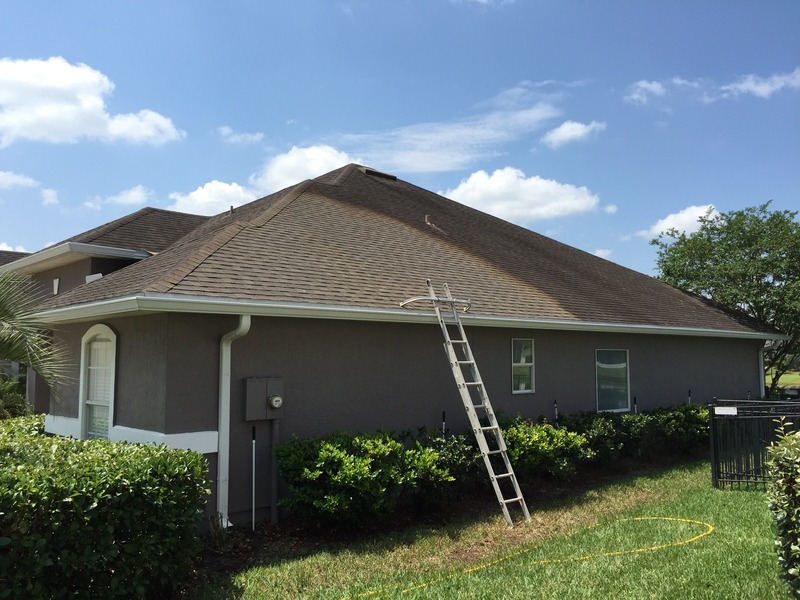 Soft washing roof substrates is a common cleaning service performed all over the state of Florida. Considering the cost of replacing a roof system…roof cleaning is but a fraction of the cost of roof replacement. Asphalt shingle manufacturers fabricate shingles with a myriad of synthetic textiles. Due to the engineering requirements regarding uplift and wind loading requirements the manufacturers ADD limestone to increase the shingles weight. Limestone is a naturally occurring element from the earth. Due to its relative abundance it has economical advantages with keeping shingle fabrication costs down. Consequently, limestone is a rich nutrient base for the mold to grow on. Those black moldy streak/stains all over your roof are defined as gleocapsa magma. Gleocapsa Magma is technically a bacteria that feeds off the limestone on your roof. In conclusion once the bacteria has started to grow then the mold, moss, algae, and lichens soon follow. Do not trust the cleaning of your roofing to just anyone. The Pressure Kru holds specific roof cleaning certifications from the Power Washers of North America (PWNA). We only use Asphalt Roofing Manufacturers Association (ARMA) approved chemical solutions and cleaners on your roof. Get an estimate. Easy to use online form.